The Pharmapack Europe trade fair gathers together global players from the pharmaceutical industry at the exhibition centre, Paris expo Porte de Versailles. In 2016, EVEON received the Convenience and Ease of use award for its device Intuity® Mix. This year, the company has been distinguished for its automated medical device Intuity® Ject for preparation and administration of drugs. The jury of experts from the pharmaceutical industry was particularly delighted by EVEON’s technology. Intuity® Ject offers a unique, secure, automated alternative for simple and precise preparation and injection of drugs, in only 5 steps. This medical device is particularly intended for all biological products in vials, including viscous products, both in liquid and dry form, for subcutaneous or intramuscular injection. Another version of the device for intravenous injection is also being developed as part of a customer project. Patients affected by chronic illnesses such as polyarthritis, multiple sclerosis, Parkinson’s disease, infectious diseases, or even cancers may benefit from this innovation. These drugs require many manipulations before being delivered. EVEON enables and facilitates the treatment with these drugs using intuitive and modular solutions packaged in industry standard primary containers, vials or cartridges. Intuity® Ject responds to the current challenges of healthcare systems: patients selfcare, safety, ease of use, improved compliance, injection precision, and patient connectivity for better tracking. 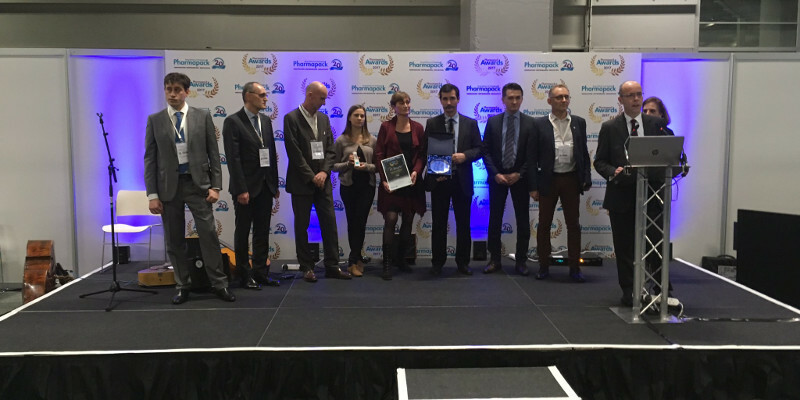 “This prize rewards all the efforts carried out by EVEON to offer intuitive solutions that are adapted to the expectations of patients as well as those of pharmaceutical companies. We are delighted that the jury has recognized the contributions and benefits of our Intuity® platform two years in a row. We are already developing several Intuity® Ject models through contracts with pharmaceutical labs, particularly for haematology and oncology applications. This new prize will accelerate our visibility, especially abroad, and strengthen our commercial development. The year 2016 was truly marked by robust commercial acceleration, including the signing of several contracts, some of them for drugs already on the market and having finished phase 3” said Vincent Tempelaere, CEO of EVEON. He also warmly thanked all the jury members for this award.